Festival classes run from evening Wednesday April 17th to evening Tuesday April 23rd. Friday to Monday we offer 4-day packages set after level, and in addition to these fixed packages we also have a large number of individual master classes, spread out during the whole festival. Please read the level descriptions before selecting package/classes! 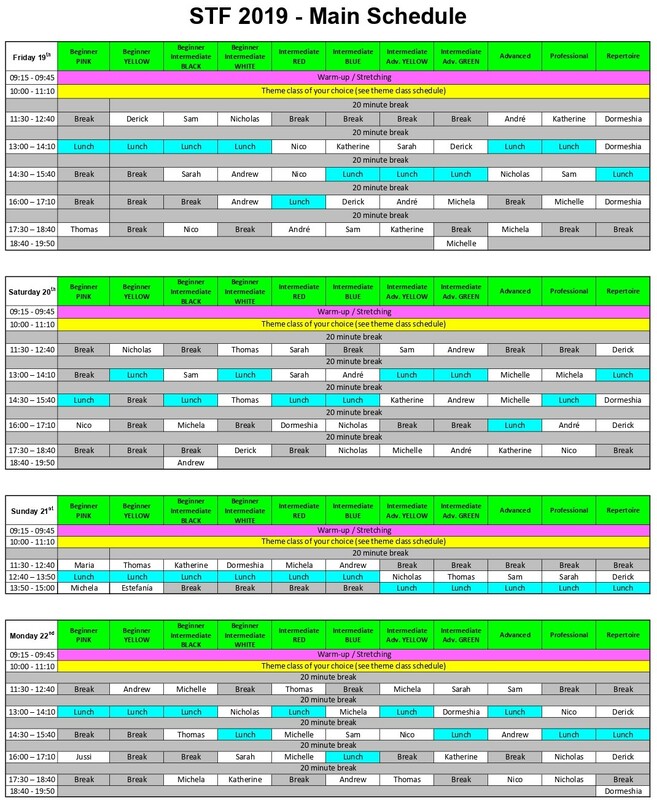 Click here to see full schedule of Master Classes. Friday through Monday we offer fixed packages of 14 classes + morning warm up (Beginners have 9 classes + morning warm up). There are six different levels, Beginner up to Professional, and ten different tracks. Some levels have two different tracks to choose from, and we also have a special Repertoire Track open for levels Advanced and Professional. You simply choose your level/track when registering to enroll in the full 4-day package. Please read the level descriptions before selecting level/track. 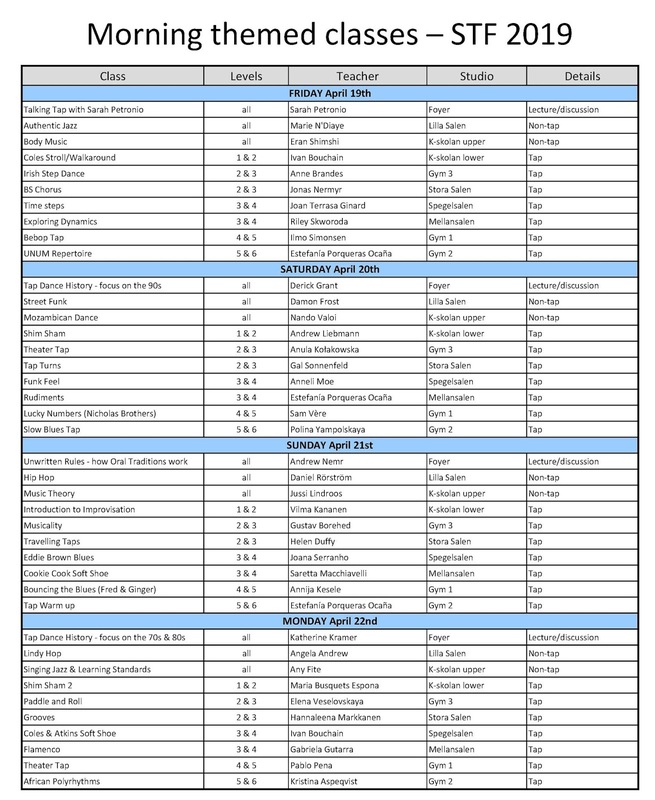 Click here for 4-day Main Schedule for each track. All students registered for a Main Schedule package are to pick one of the many themed classes given each morning, 10:00-11:10, Friday through Monday. 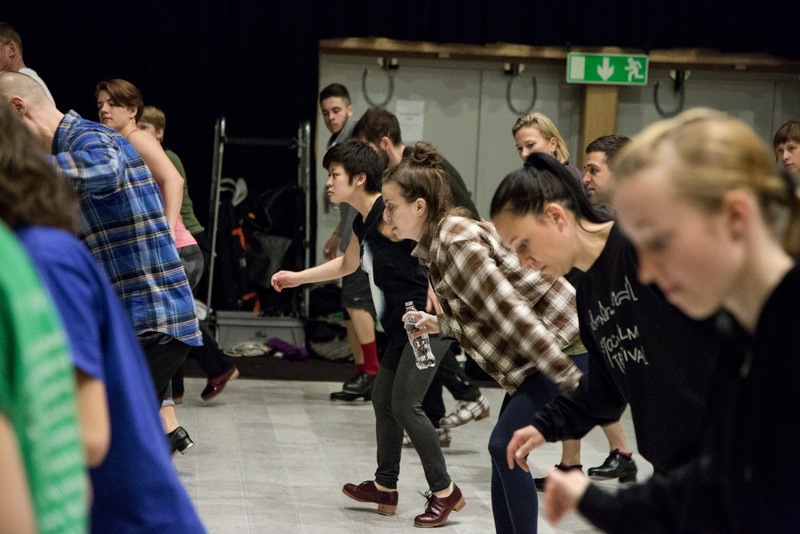 These themed classes will be a mix of tap and non-tap classes suitable for a range of levels. You are to select the class you want for each morning when you arrive at the festival check in.